If you are looking for a way to resolve priorities assigned to you from your mobile device, the new Mobile Priority Resolution feature is a great solution. 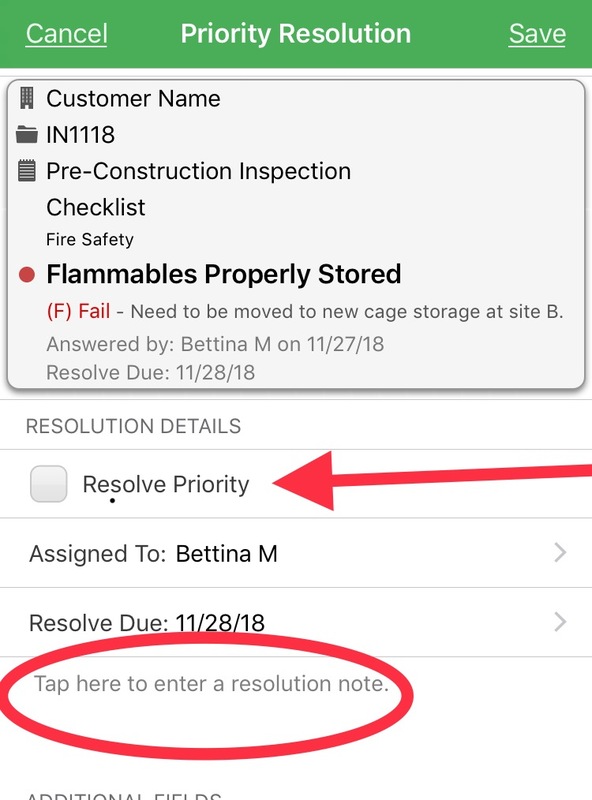 This feature will allow you to assign issues found in any inspection to a user, and then that user can see the issues assigned to them right from their mobile device (iOS only). When a user logs into their device, they can go to the My Priorities tab, and see a list of outstanding issues with details and a due date, and resolve them from there on the tablet, or assign them to someone else if necessary (the next person in the workflow).